Prior to releasing a new wheel on the market, we proceed to extensive testings to control and improve the global quality, the performance as well as the wheel reliability. The "labs" and road testings help us find out where and which are the limit while using the wheels in extreme situations. The results on these measurement benches guarantee the wheels' strength, security and conformity to the European standard. 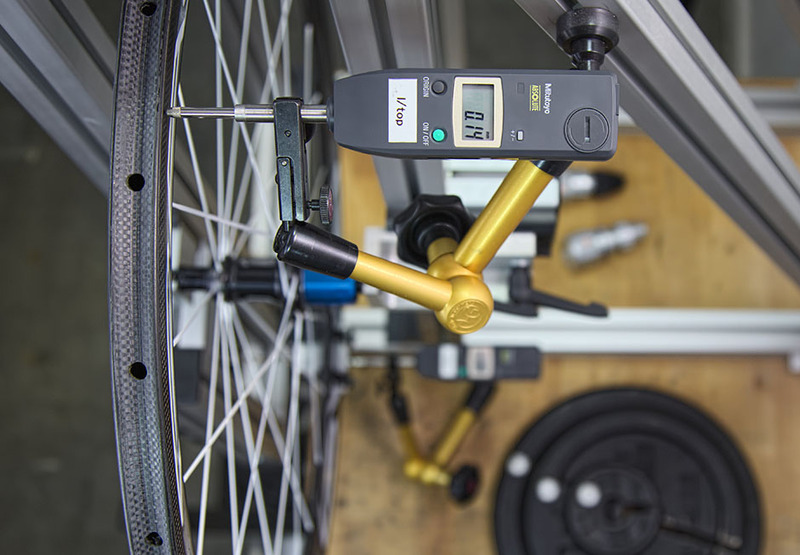 They also teach us many aspects of the wheel performance like lateral stiffness, extreme lateral load, rotational inertia and braking performance. For any wheel of the range, RAR follows its main leitmotif: giving you the opportunity to ride reliable, durable, and ultra performant wheels. We give a lot of importance to the general wheel performance and its improvement over the years. The RAR team includes several athletes of different levels. Some are pro riders, we have a couple of them riding at the highest amateur level, we also have triathletes as well as recreational racers, both for road/cyclo-cross and MTB. This diversity gives us many opportunities to collect an important feedback speeding up the wheel development. The lateral stiffness test is about pulling on the rim in an accurate way to measure and control how much it deflects at different places of the rim. Carbon rims are the ultimate solution to reach the best performance: they are light and laterally stiff beside their aero properties. They really make sense when the whole rim: brake track and profile, is molded as one piece. The weight save and reliability gain is huge compared to the hybrid alloy/carbon solution. These composites rims are made from successive woven or uni-directional carbon fibers, bonded together through an epoxy resin. The braking testings on composites fibers rims are crucial to make sure we deliver a safe and reliable product. We proceed, prior to any new product announcement to several braking performance testings. The bearing resistance of the hub is of a major importance for the wheel performance. Why making a super stiff and super light wheel, if the bearing waste a large part of the energy spent? 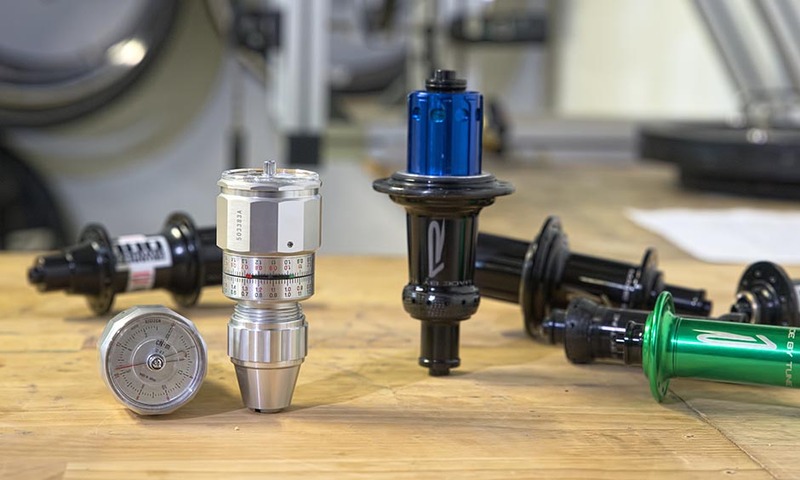 We use torque gauges to find out how much does the hub generate friction and we translate it into power loss. - the perfect amount of lateral play to make the hub as efficient as possible when it is clamped into the dropouts.